Ladies and gentleman, we're now entering a critical and (at least for me) fascinating section of the awards race which is known as the precursor season. Between now and when Oscar night roles around in about five months, nearly every awards body, critics group, and guild will chime in with their best and worst in 2013 cinema. Some unexpected films will rise in the Oscar race, while some will surprisingly tumble. Mostly though, things will begin to crystalize, so I felt that it was prudent to explain what's about to go down and how to properly filter it. That way you don't get too high or too low depending on how the new season goes. So far, we've only had the Gotham Awards announce their nominees. They're pretty small time in the grand scheme of things, but they work as an example of why you need to keep an even keel about this. Yes, 12 Years a Slave led with three nominations and will likely pop up just about everywhere going forward, but nominations were also given out to films like Afternoon Delight, Concussion, and Upstream Color. Does anyone actually think that they'll come even close to sniffing Oscar gold? No? Good, let's move on then. As the season progresses, you'll see more independent minded precursors like Gotham continue to cite smaller flicks, while others will go the more Hollywood/mainstream route. That doesn't even include bigger fish like the Golden Globes (which will get their own post later this year) since they have their own, sometimes bizarre, way of doing things that sometimes involves silly things like bribery. Basically, there are different types of precursors, and they're not at all created equal. One early one that actually does impact things a bit is the National Board of Review, which will come at the beginning of December. For better or worse, they act as tastemakers to some degree, and while plenty of times they take a liking to something that goes nowhere, they also can make a contender. 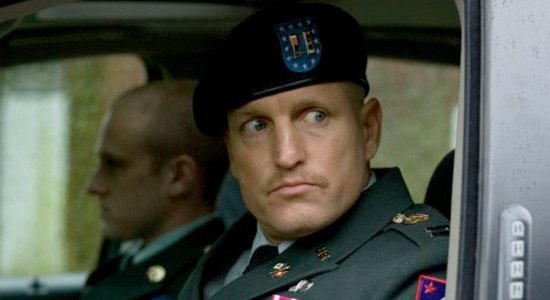 One perfect example is how Woody Harrelson was more or less a fringe contender for Best Supporting Actor with The Messenger in 2009, but once he won NBR, he was basically on a straight line towards an Oscar nomination. It can happen just as simply as that. The early part of the season basically sets the stage, while at the end of the season the guilds really just lock contenders in to one degree or another. This makes for an awkward almost secondary calm before the storm, as the race obviously evolves a bit with each precursor, but only a select few actually wind up being real sea changes in the season. What you notice more in the early part of the game are trends emerging. For example, a lot of people are simply expecting 12 Years a Slave to clean up all season long. If that's what happens consistently, that'll be a trend. The same goes for which of the many contenders for Best Actor wind up getting snubbed. We might see the precursors mix and match the names all for the rest of the year, but we also might see the same five or so emerge consistently, giving us an idea of who's got momentum, and that's one of the key elements in the Oscar race. You rarely see contenders slip into the Oscars without momentum. Certain nominees may not be juggernauts, but it's never their first mention. Precursor nominations and wins get them noticed by the folks who actually are members of the Academy and vote. For a sports analogy, the precursors are almost like the minor leagues and Oscar voters are like scouts right now. Their binoculars and radar guns are trained on the films and performances they think can make it in the majors. If they succeed down here, they might get the call up to the big leagues. The other thing to keep in mind is that one precursor on its own means nothing. If you're rooting hard for a particular film or performance to get an Oscar nod and it misses at a precursor, it doesn't mean the Academy will ignore it and not bestow a nom on it. At the same time, if a long shot shows up once or twice on the precursor circuit, it's not suddenly a top tier contender. In short, keep your emotions in check. If you're like me, you follow every single one of these things and keep track in order to try to make sense of it all, but I wouldn't expect most of you to be like that. Basically, the guide to the precursor season is simply to keep some manner of perspective about things. When big events go down, I'll let you know about them, trust me, but don't get too up or too down about any one award. It's a marathon, not a sprint. Thoughts? Solid write-up. Can't wait to see what this season's trends end up being. 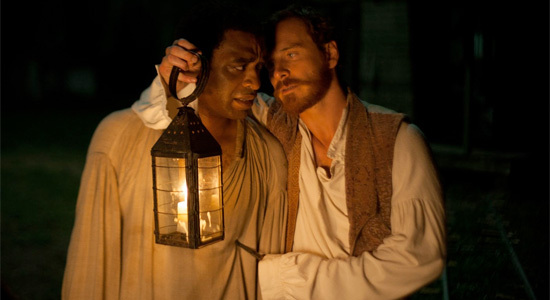 12 Years a Slave is the obvious heavy hitter, but we'll see how long it sustains itself. Personally, I'm expecting Wolf of Wall Street and American Hustle to have a more subdued presence, at least early on, but possibly making a big surge late in the game (which, in several cases, has proven to be just the right moment). I wonder what film will wind up doing the best during the season? I'll keep those expectations in check. Follow up question: Has this stayed true this season?